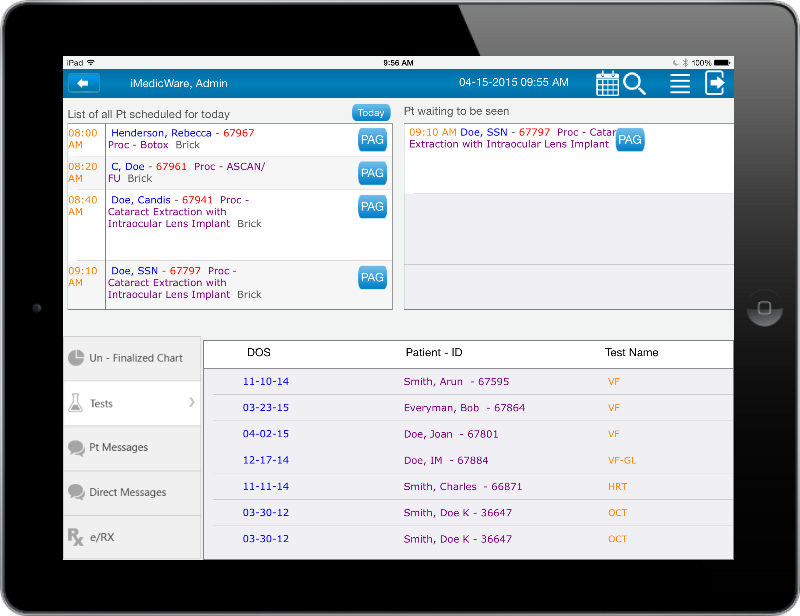 iMedicWare is set to release their new iPad app to the Apple App Store, making it easy for physicians to access their system while on-the-go. iMedicWare Mobile allows our physicians to finish their charts with a single touch of their tablet. The evolution of charting has arrived. 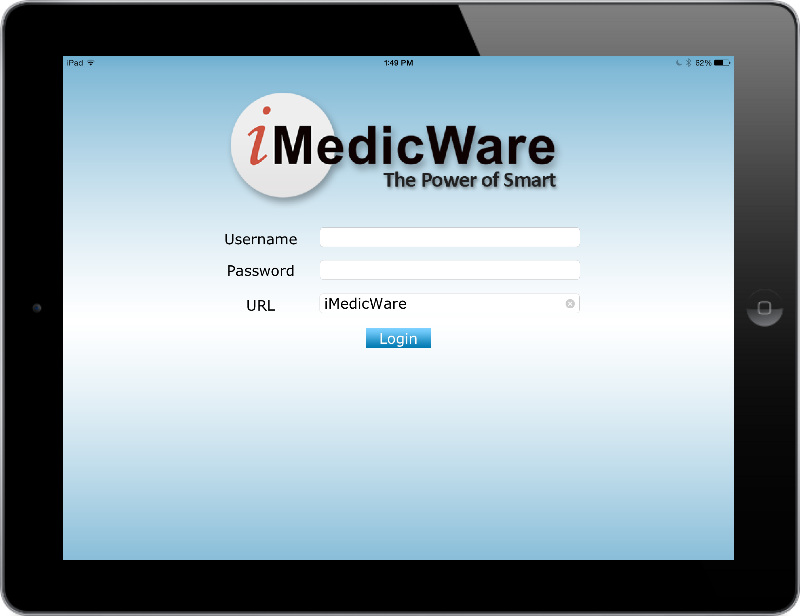 iMedicWare proudly unveils the next evolution of its EHR system, a free application for the iPad. This app has been specifically designed for iMedicWare’s award-winning EHR system, and is compatible with iPads of every generation. The app will give physicians the ability to quickly and easily interact with their EHR system, giving them the opportunity to take care of their practice’s needs without having to be near a computer or telephone. It will save practices valuable time and effort, speed up the way that charts are reviewed, and allow for physicians to spend less time on the computer and more time face-to-face with their patients. For over 9 years, iMedicWare has delivered award winning service and support to hundreds of ophthalmologists around the country, with an EHR suite that has been specifically designed for their needs. Continuing this tradition, iMedicWare has now completed the newest addition to that suite, iMedicWare Mobile. This iPad app is going to be available to all practices with iMedicWare’s EMR & EPM Solution, from the Apple App store, for free. It is also currently being developed for Android tablets, with its release onto the Google Play store to be announced at a future date. These features, and more, allow iMedicWare to provide its physicians with another user-friendly way to have unrestricted access to their practice, increase their efficiency, and spend more time focused on patient care. 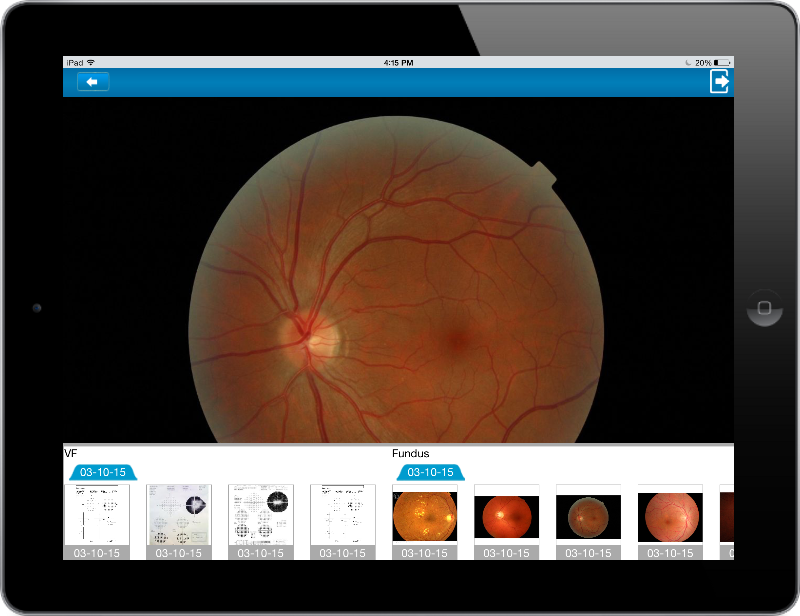 iMedicWare is excited to continue its track record of creating innovative products which ophthalmologists can use to access all of their detailed patient images and data from one screen, with an effective tablet-focused design with which most tasks are completed with just a single swipe. Each practice will have the application available to them immediately. Please contact iMedicWare for more details. iMedicWare Inc. is a leading provider of certified EMR/EPM and ASC software specifically designed for ophthalmologists. Founded in 2006, iMedicWare was created by a group of leading specialty ophthalmologists who sought to create an efficient, paperless, solution. They wanted a product specifically geared towards maximizing the efficiency of their practices, while also being comprehensive, easy to use, and customizable. Their different backgrounds allowed them to design software that would perfectly fit any ophthalmological practice, from general to pediatric ophthalmologists, including all ophthalmological sub-specialties like neuro-ophthalmology, corneal surgeons, and retina specialists. The end result is that iMedicWare delivers the best, physician-approved, EMR, EPM, and ASC software solutions for ophthalmology practices and ambulatory surgery centers of any size, specialty, and scope.